***RUN, don't walk because this property has not been available in over 40 YEARS!!!! Endless possibilities await with this unique and RARE gem!!! Adorable cottage style remodeled home nestled on 1 acre of lush land. 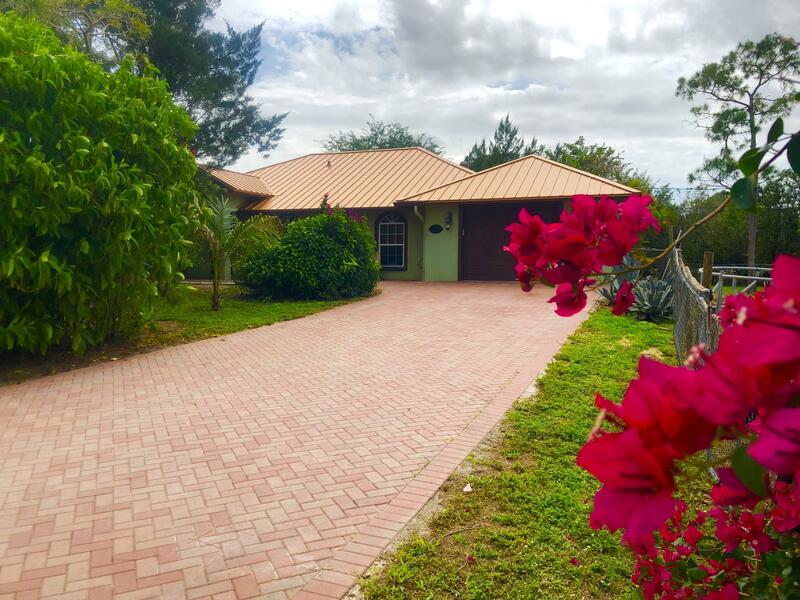 Bamboo floors just installed, brand new electrical panel,newer appliances including the washer and dryer and much more!Park your cars,boat or RV under the HUGE carport and bonus permitted Ted's shed convey with the property. Property has city water, septic system and oversized wells. BRING your horses and pigs because this is the ''one!'' Zoned Agricultural!! Centrally located and surrounded by shopping, restaurants and highways this is the perfect work,live, enjoy life combination. GREAT INVESTMENT OPPORTUNITY!!! This CBS ranch style home consists of 3BR/2BA/2CG, sits on 2.36 acres and is close to town. Plenty of room to bring your horses, or other animals with plenty of room for a riding ring or whatever you desire. Includes a 6 stall barn and is fully fenced. **2 Adjoining parcels just to the south and east are also available for sale. 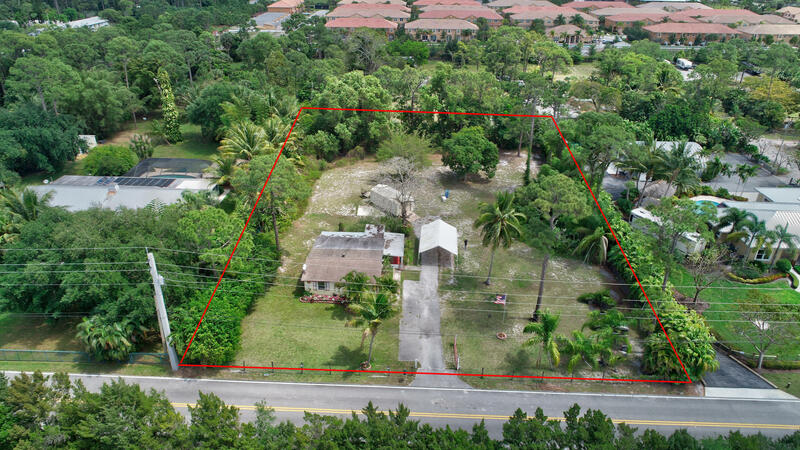 (corner of 54th St N and Coconut - 1.37 acres AND east of that is 54th St N - 1.96 acres) All 3 parcels = 5.69 build-able acres. Key west comes to the country, enjoy tree top living in this unique 2 story home lifts you to a birds eye view of this natural florida property. 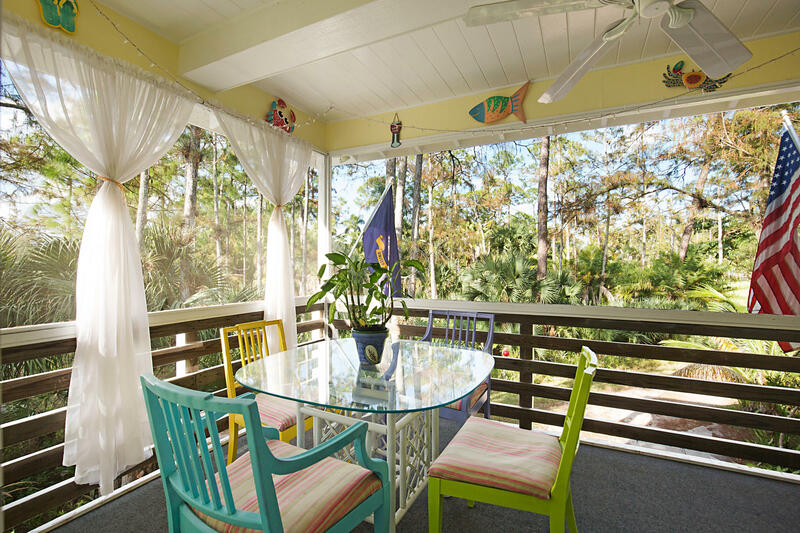 Enjoy sipping cofee or cocktails on a screened porch. This adorable 2 story gem has great location 2 bdrm 1 bath upstairs, also has a down stairs income producing 1 bedroom apartment/office which has rented for $1200k per mo annually. Close enough to bike or walk to everything, restaurants, grocery, pharmacy, state college, etc. Easy access to main arterial roads, turnpike and 95. Minutes to wellington horse show and polo venues. All measurements are approximations and subject to error. 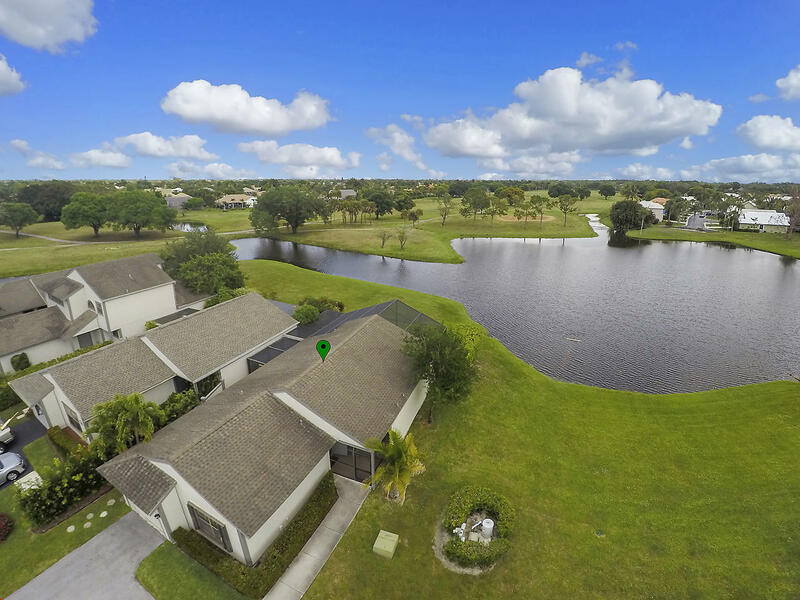 Premium location on the lake with wide water & golf views. Expanded & updated home with new ac, modern kitchen & professional conversion of garage to 3rd bedroom which can easily be converted back. Large wrap around screened patio. Short walk to heated community pool. Minutes to horse show venues. West Palm Beach, FLLt7 Sec 5 Black Bear Rd. Five Gorgeous Acres! Very High, Cul De Sac Location. 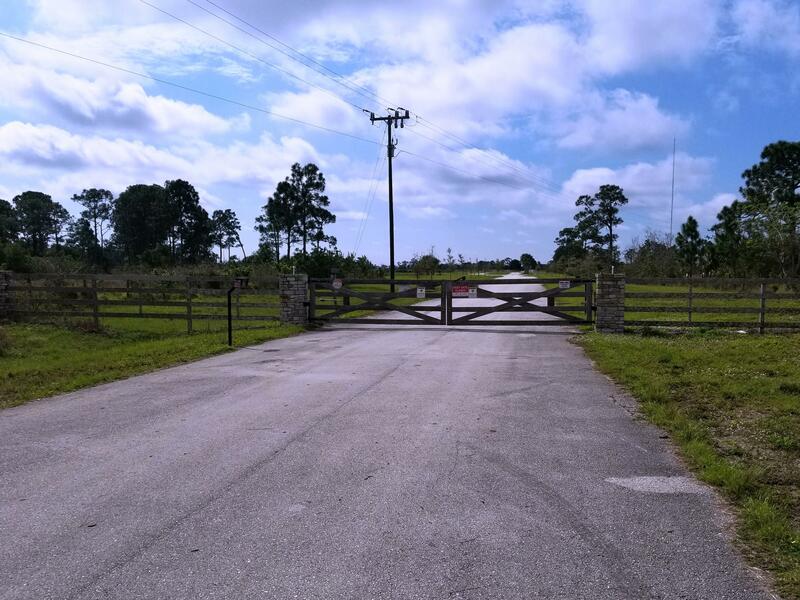 Build Your Dream Home On Your 5 Acre Park Like Setting!Caloosa Is A community Consisting Of 1,854 Acres In Palm Beach County. There Are 350 Five Acre Tracts. But Only A Very Limited Number Building Sites Are Available For Sale. A 33 Acre Park Enhances This Community, Children's Play Ground, Lighted Tennis Courts, Basketball Courts, Community Pavilion, Horse Jumps, Dressage Area And Miles Of Deeded Riding Trails. All Paved Roads And 33 Miles Of Canals! 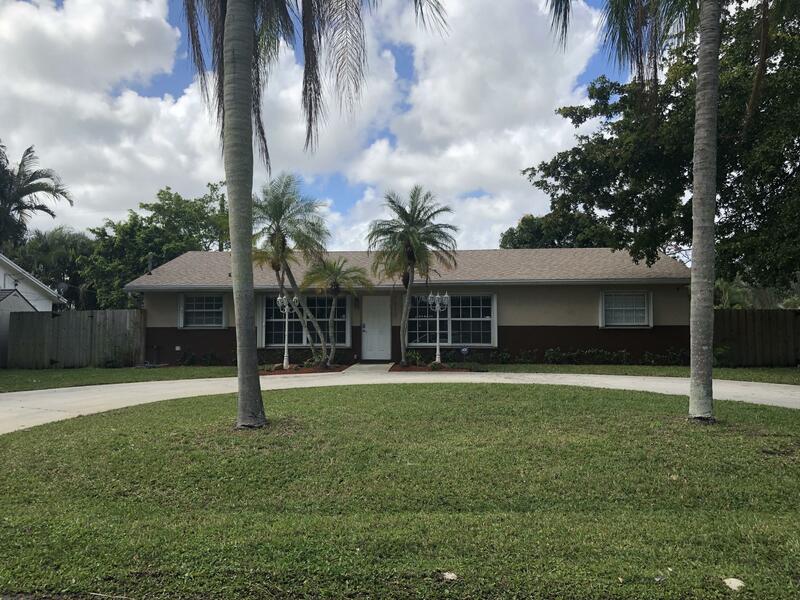 Minutes To I-95, Turnpike, Shopping And Schools! 3/2 Single family home with NO MANDATORY HOA DUES. Corner lot (.25 Acres) with horse shoe driveway fit for multiple vehicles. House has a brand new roof and AC (replaced in fall of 2016) along with a 6' privacy fence. All bedrooms were just replaced with brand new carpeting and all brand new blinds in common rooms including sliding doors. Property has a shed in the backyard for storage, a covered outdoor patio along with a fire pit! There is an additional room that can be used for a office or whatever you please with built in wall AC. 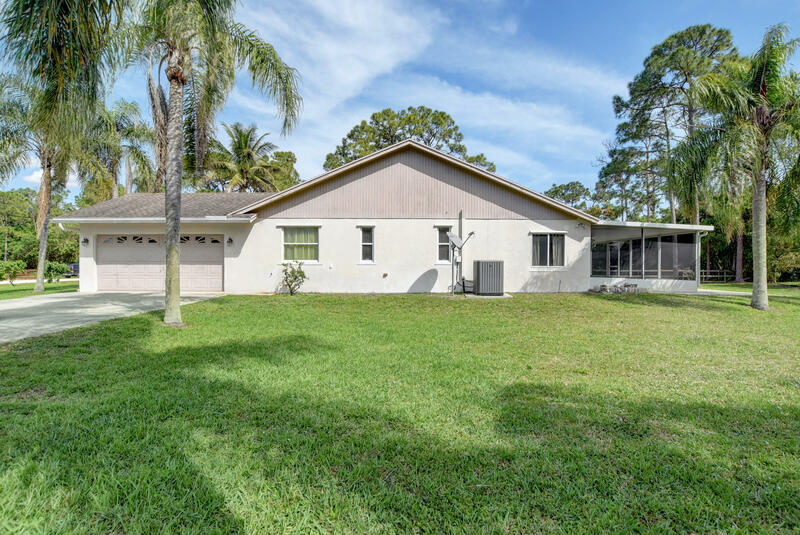 This neighborhood is surrounded with A rated schools and is located in a quiet peaceful area. Kitchen has newer cabinets and all appliances in house are updated! Large master bathroom with marble bath tub. This property / neighborhood is a must see!! Fox trail, an exclusive equestrian community in west palm beach. 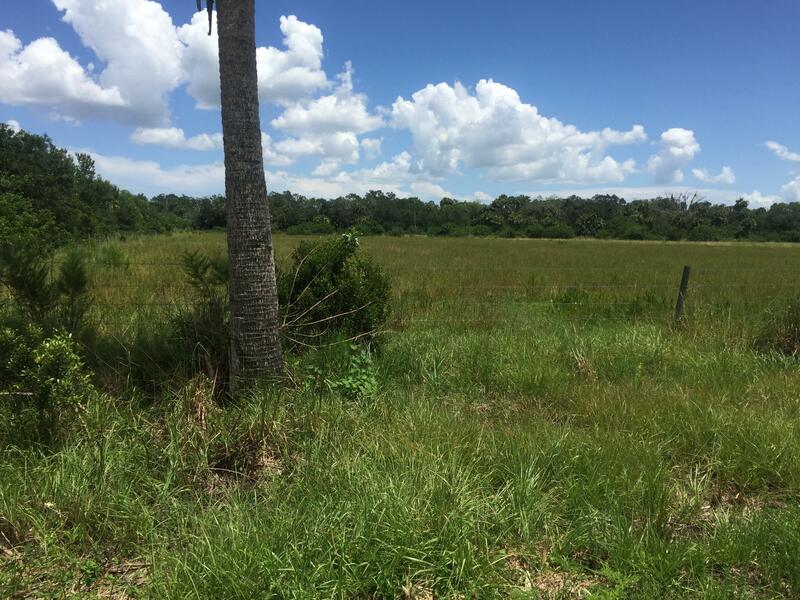 Build an estate home & guest house on this cleared beautiful 5 acre lot w/canal amenities, horse trails, access to shopping, dinning, schools, hospital & x-pway within minutes. 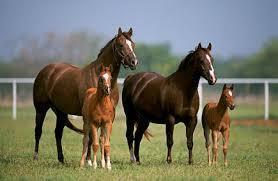 Over 10 acres of beautiful land to build your dream home, barn , or just have horses and cattle. The land is fully fenced with a pond and well. 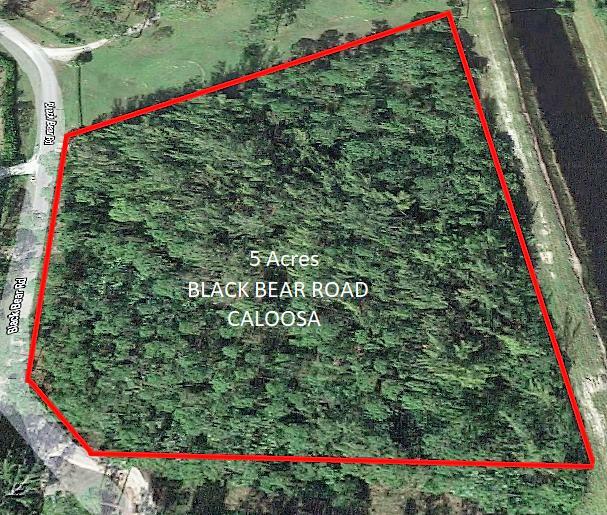 Paved county roads lead right to this property.Opportunity awaits, give us a call today to view this great property.